A collectors bamboo with large swollen internodes which resemble green onions make it very unusual. 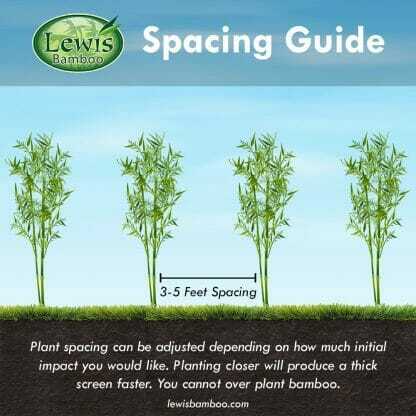 Great screening bamboo for a partly shaded area. This bamboo makes a great house plant as it does fine with minimum light requirements. Pseudosasa Japonica ‘Tsutsumiana’ (Green Onion Bamboo) is sought by many gardeners and collectors. The large swollen internodes which resemble green onions make it very unusual. This is a very erect species of bamboo having a dark green leaves up to 12 inches in length. It does well in containers and when planted in the ground can grow to 18 feet in height. 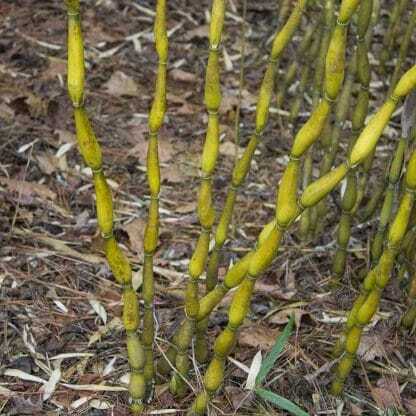 Similar to ‘Arrow Bamboo’ and this species is not considered to be very invasive in nature compared to other runners used for privacy screening. Some customers select this species as an alternative if they are in zone 6 or 7 and cannot grow ‘Buddha’s Belly’ bamboo. ‘Green Onion Bamboo’ makes a great house plant as it does fine with minimum light requirements and will reach mature sizes if the container is large enough. 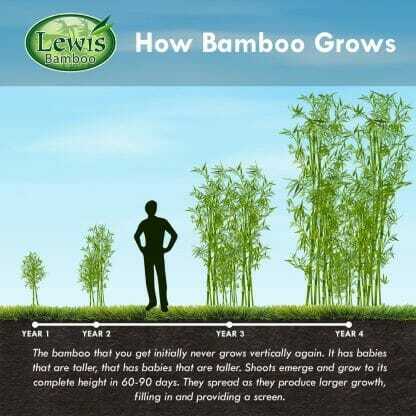 The bamboo will need dividing every other year to allow for rhizome growth. Bamboo in its natural setting is free to roam finding just the right sun light and soil nutrients to grow to its mature species size. In a container it is not capable of this and will rely solely on your care. In cold climate zones you must move the container into a protected warm area during the cold winter months. Very speedy delivery, items packaged well and shipped as ordered, in excellent condition. Excellent! Easy check out and quick delivery. Items arrived in excellent condition! healthy! I'm so impressed, I may have to order some more in the fall!! !